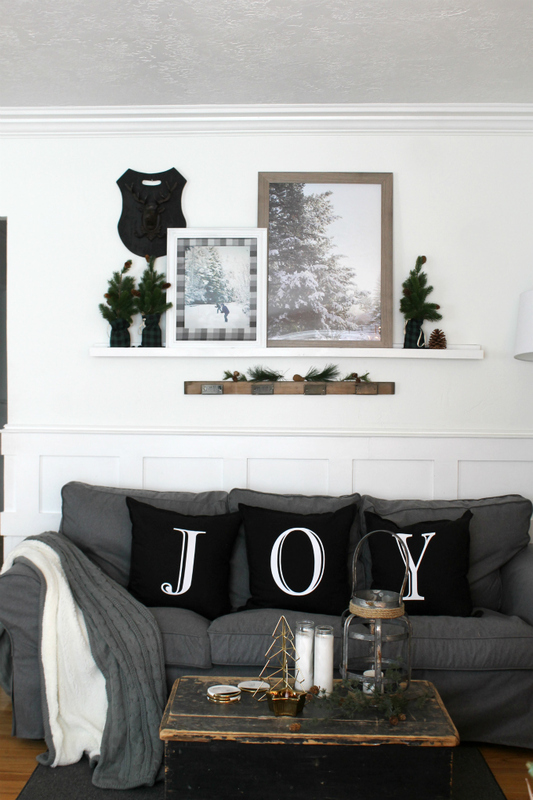 First of all, I just wanted to say Thank You to all of you who stopped by to visit my Cozy Christmas Home Tour. 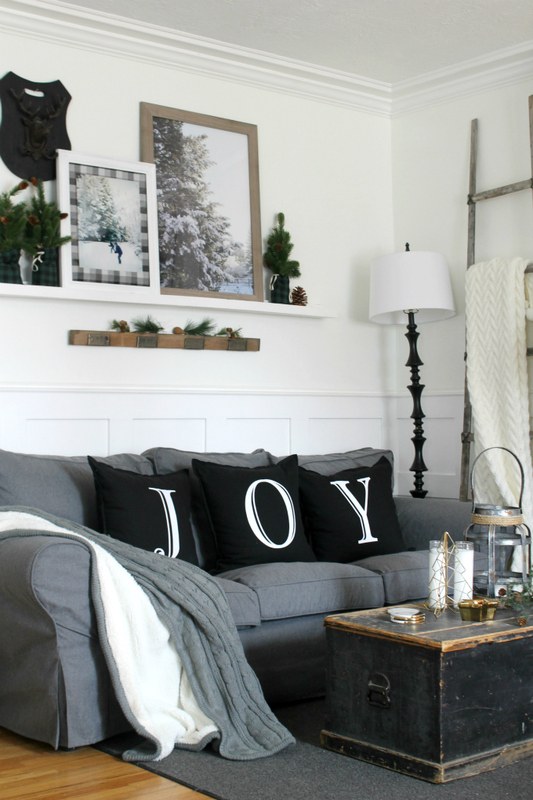 I always have so much fun decorating our home for the holidays and this year may just be my favorite look yet. 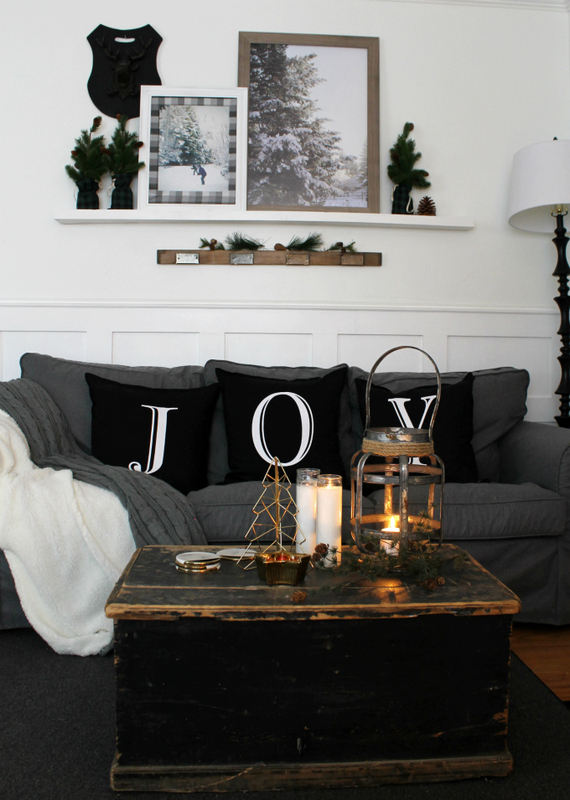 As you may have read, Comfort Works, made me a beautiful new slipcover for my Ikea Ektorp sofa and it really tied together the whole cozy, winter, theme that I was going for this year. 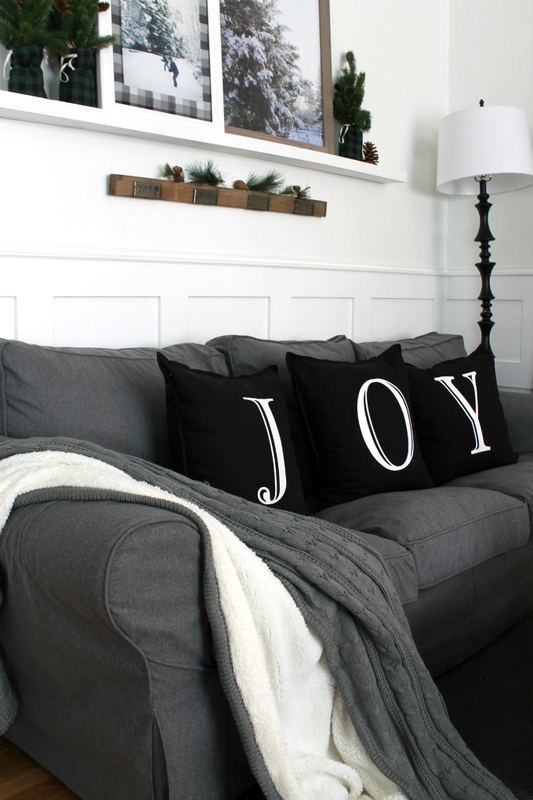 You can learn more about my new slipcover HERE. 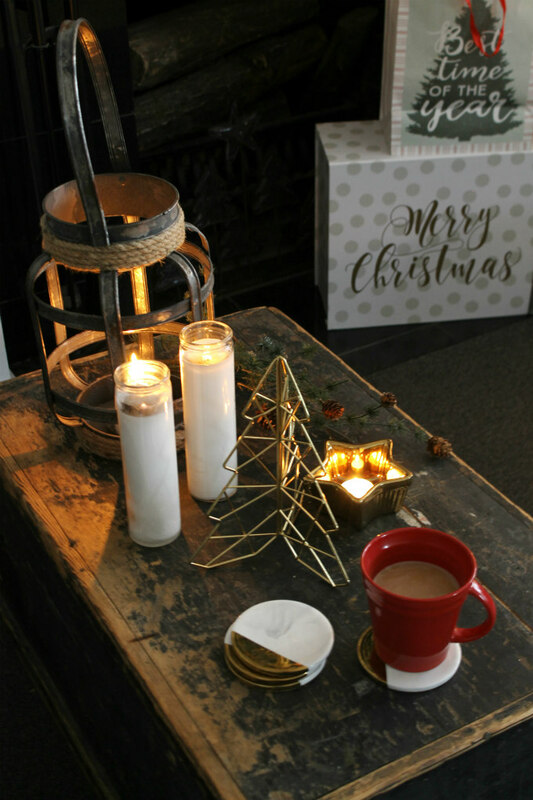 Not only does Comfort Works make the most beautiful tailored slipcovers, but they also carry a selection of unique Christmas home decor that I want to share a little more about today. 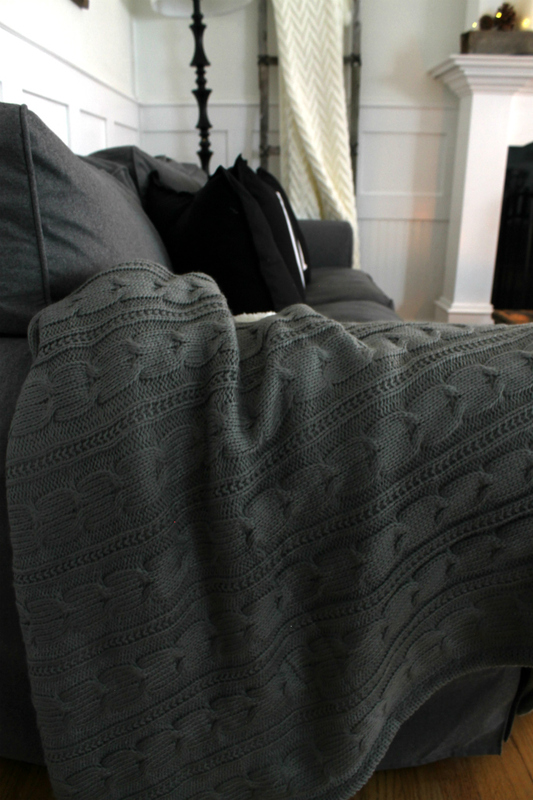 This cozy throw blanket is a must-have for the cold season. One side of the blanket is a beautiful cable-knit. I really love how the color matches my new slipcover perfectly. And the other side of the blanket is a very soft snow fleece. There is nothing better in the winter time than a really comfy throw blanket, am I right? Also available from Comfort Works are these pretty gold accessories that I've placed on my coffee table/trunk. 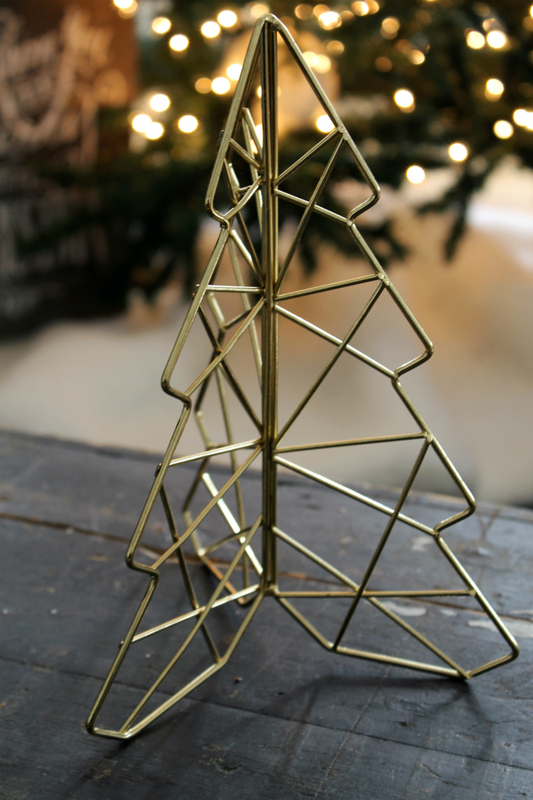 First we have this pretty gold wire frame Christmas tree. 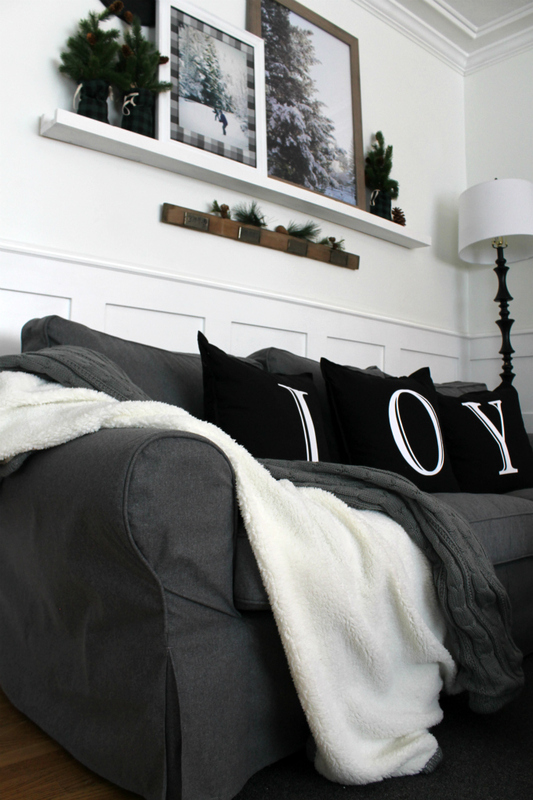 I think it is really cool and modern and I like that it adds Christmas charm in a simple yet elegant way. 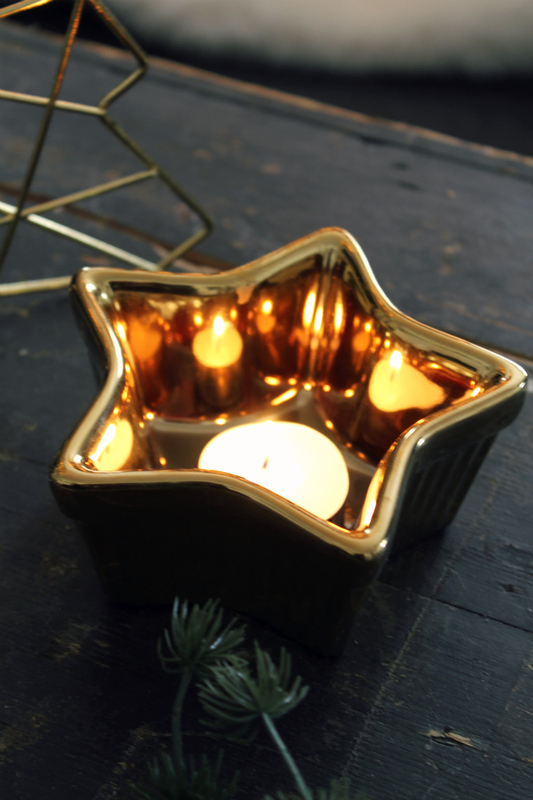 The second accessory is this cute gold star snack bowl. I placed a small tea light candle in it and fell in love with how the light bounces around inside. It would also look cute filled with a tasty snack like nuts or candy. 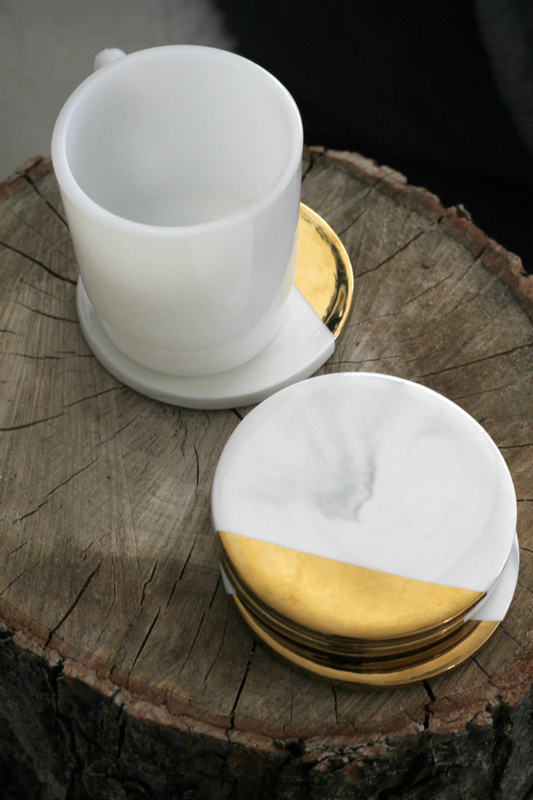 And the third accessory, which is my most favorite, is this set of 4 painted marble and hand-dipped gold coasters. They are stunning! 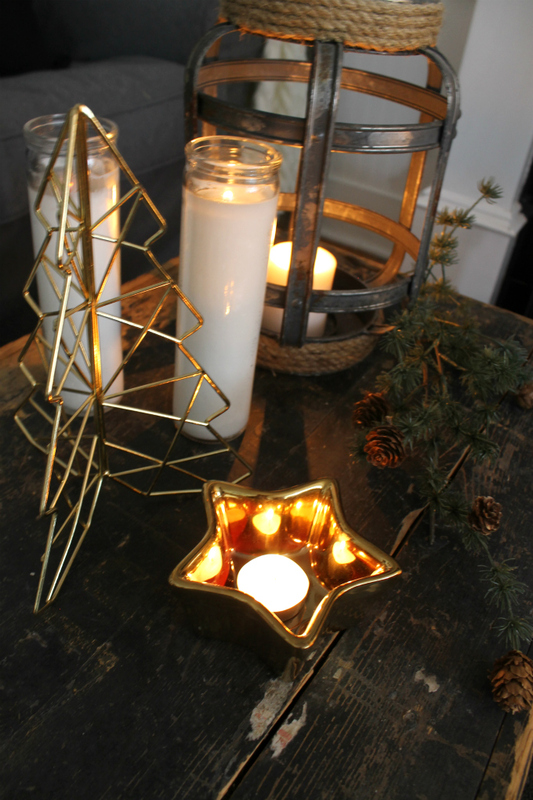 All together, these Christmas decorations with the added candle light, really create a beautiful tabletop setting. 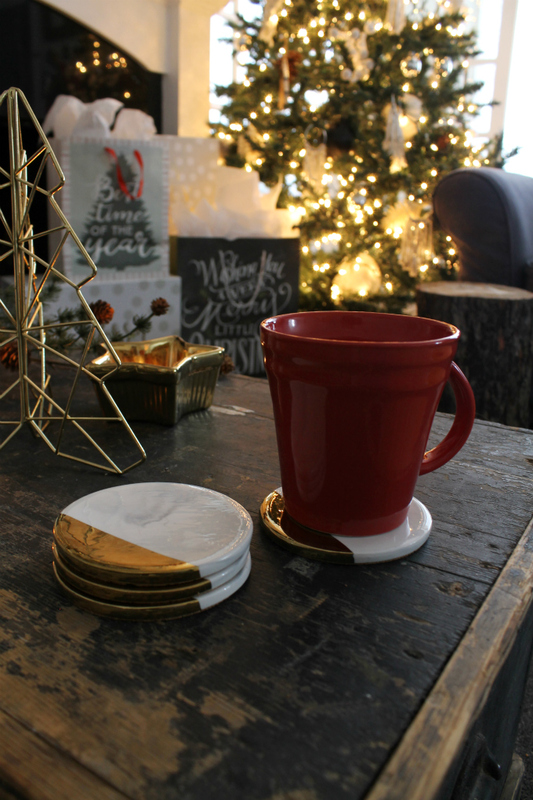 Oh, and just a thought, These coasters would also make such a wonderful stocking stuffer or hostess gift. 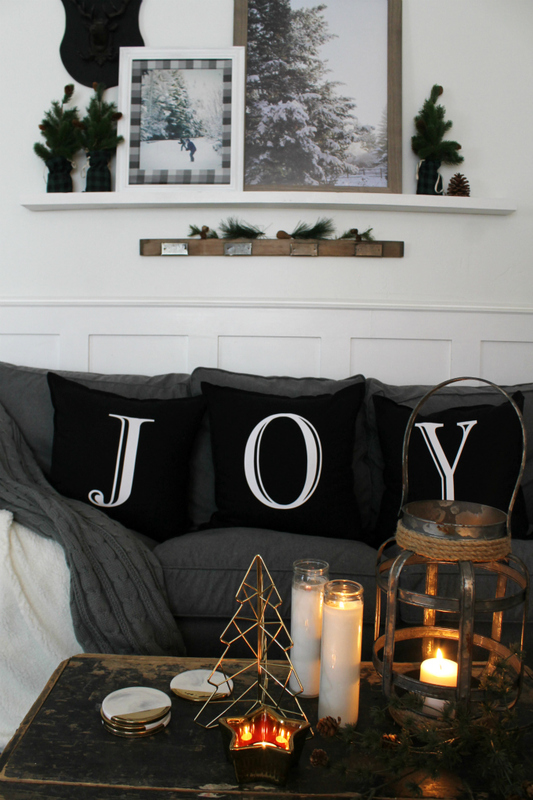 So what do you think of my beautiful new Christmas decor? 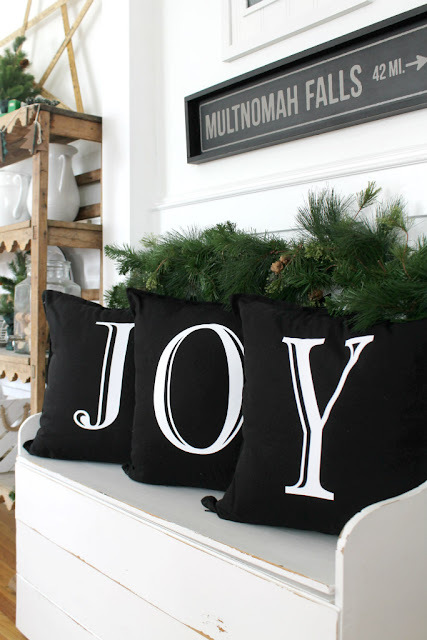 You can see Comfort Works full line of Christmas home accessories HERE. 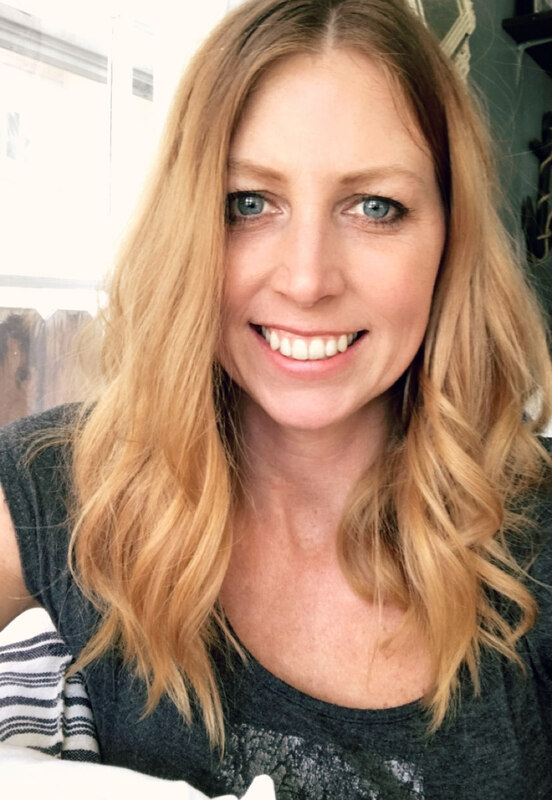 *This is a sponsored post by Comfort Works who gifted me the items mentioned. With that said, all opinions are my own and I would highly recommend Comfort Works to you.